The authors should follow these detailed instructions on preparation and submission of final camera-ready papers. The deadline for camera-ready submissions is September 23, 2018, 23:59 Hawaii time (strict and final). 1) Please re-check the reviews that you received in the earlier decision letter and be sure that you carefully identified and addressed all the key issues that needed to be improved in the camera-ready version. 2) Apart from the contents related modifications, we strongly recommend you to follow the reviewers’ suggestions on improving paper organization, formatting, style and language use. 3) Please check that you used the TEMPLATE provided on the CONFERENCE WEB PAGE: http://icait-aizu.org/wp-content/uploads/2018/04/icait-2018-ACM-TeX_Template.zip. DO NOT MODIFY style properties! The fonts, indentation, spacing, paragraph layout, etc. MUST be the same as in the sample file (see sample-sigconf.pdf from the above mentioned zip archive). 4) Please check that you properly generated the ACM CSS concept block by using the tool on https://dl.acm.org/ccs/ccs.cfm. The code generated by this tool MUST be incorporated into your tex source right after the abstract block. 5) Please check that you included your own keywords (comma separated, first word capitalized, all other words are in lowercase). 6) Please ensure that you do not violate ACM instructions on embedded fonts. Use the ACM provided tool: https://www.acm.org/binaries/content/assets/publications/word-to-pdf-instructions-.txt. Fix the detected issues. 7) Please make an effort to create your final version as much close as possible to a certain number of fully completed pages. Avoid a last page with only one or two small paragraphs or references. 8) You will soon receive the ACM eRights management form. Please proceed with all the instructions provided by the ACM without any delay AS SOON AS POSSIBLE, in order to submit your copyright statement to the ACM and get the final copyright block to be included in your paper. 9) Upon submitting the copyright statement to the ACM, you will receive the copyright block that you MUST INCLUDE in your tex source code appropriately. This copyright block will contain the individual article number and DOI for your paper. 10) Submit your camera-ready version to the online submission system https://easychair.org/conferences/?conf=icait2018. Your submission must include the following mandatory files: (1) pdf file of your camera-ready version; (2) zip file containing ALL the original files you used in order to generate your pdf from the ACM LaTeX template. You should submit your camera-ready version only AFTER incorporating the valid ACM copyright block! 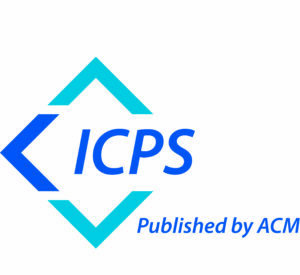 Please note that your paper may be included in the conference proceedings only upon submitting the camera-ready version, strictly conforming to the ACM formatting requirements and completing the ACM copyright transfer procedure.